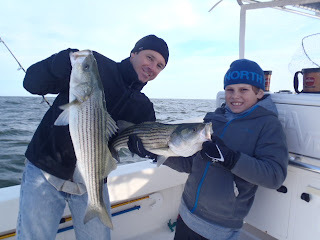 Today we had Dennis Sr and Dennis Jr on board for a bass mission. 11 yr old Dennis Jr had never caught a bass and was anxious to catch his first one all on his own. 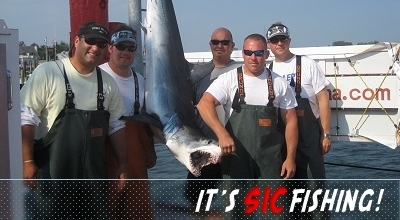 Conditions were sporty with the S winds and high seas but this crew wasn't phased by it! 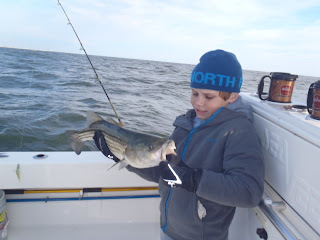 They figured out the jigging techniques and had steady fishing all morning. Kept some for the table and went to release mode. It was great to see the excitement of them reeling in fish......Dennis will have soar arms tomorrow in school!!!! Another great day on the water!!! 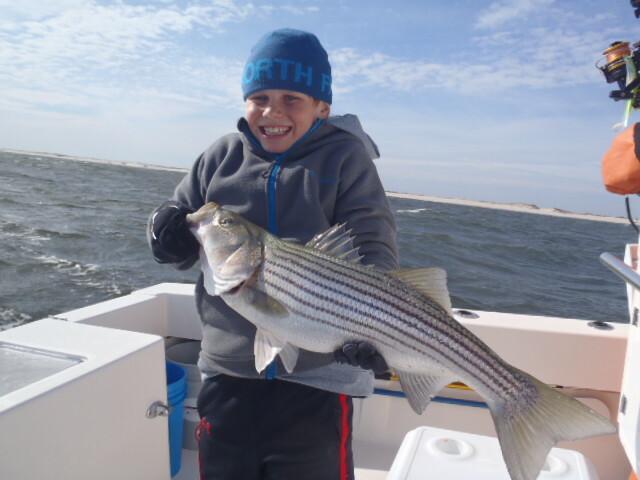 NJ Fall Striper Run as BEGUN!! !